So you’re starting to get a little older and have added a couple members to your household. As a parent, most car trips seem to involve carting the kids to school or sports practice. However, you occasionally still find yourself testing the grip of your tires on the expressway on-ramp, followed by full-throttle acceleration to match — or maybe even eclipse — traffic speeds. It’s time to shop for a new car that will accommodate your family, but under no circumstances are you willing to buy an SUV or minivan. You longingly remember the days when a blue-blooded sports car was parked in your driveway, but there’s no way you’ll be able to regularly drive one of those again (at least until the kids leave the house). But your life as an automotive enthusiast isn’t over … it’s just time to consider an exciting four-door. Our list of five hot four-door cars focuses primarily on sporty, powerful, and stylish vehicles. The requirements included exhilarating quickness, the ability to haul at least four people, and amenities for the entire family. We considered vehicles from several price ranges, although we chose only one from each price point. Behold Automobile Magazine‘s picks for the best four-door, family-oriented performance cars on the market today. Volkswagen’s Golf hatchback is a fairly basic mode of transportation, but in GTI trim it’s a whole new car. Available in two-door and four-door variations, the latter GTI model is the obvious family choice. With its welcoming sticker price of $25,019 (including $750 for destination), the GTI should top the list of anyone looking for a budget-minded family sportster. VW’s performance hatchback utilizes a 2.0-liter turbocharged I-4 that makes 200 hp and 207 lb-ft of torque that can be mated with either of two transmissions — a six-speed manual or a six-speed dual-clutch automatic (which costs an extra $1100). 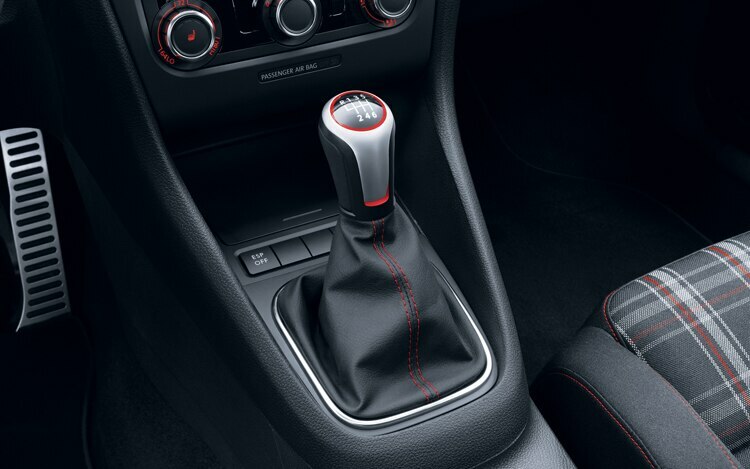 To keep the GTI’s price in check and maintain its sporty characteristics, we prefer the slick stick shift. 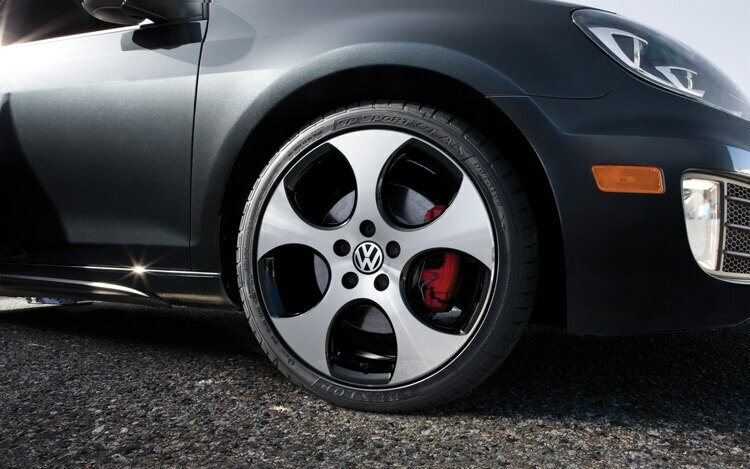 Standard seventeen-inch wheels give the GTI some extra styling, although eighteen-inch rolling stock is available for more dough. The significant cost and smaller sidewalls of the upsized wheels contributes to diminished comfort, so we lean toward the stock equipment. An aggressive fascia paired with red brake calipers lets everyone know the car isn’t a standard Golf. VW claims that the four-door stick-shift car can sprint from 0 to 60 mph in just 6.7 seconds, while returning 21 mpg in the city and 31 mpg on the highway. A track-tuned suspension and so-called XDS differential (which acts like a limited-slip differential) make the GTI perfect for the occasional autocross outing. None of the other vehicles in the compact segment are quite as refined as the GTI, and its steering, suspension tuning, and standard features make it stand out even more. The touch-screen radio interface can control an iPod through a standard connection. Available Bluetooth offers hands-free operation of a capable mobile phone and is a great way for everyone to take part in the next phone call to Grandma. 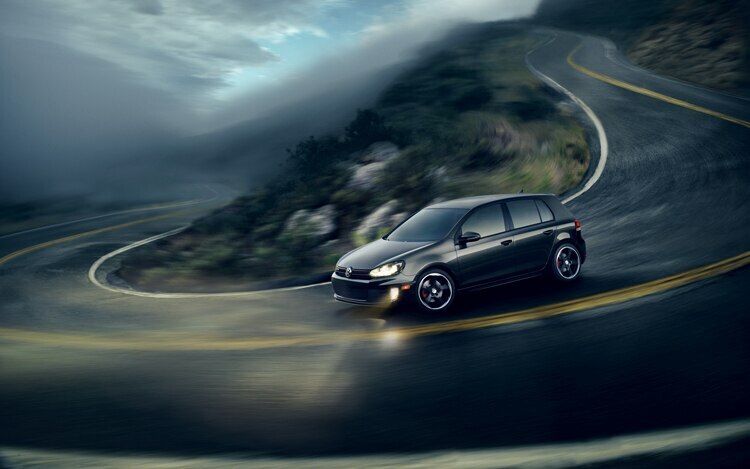 Standard electronic stability control helps the GTI stay on the road during inclement weather and aids in avoiding accidents. Eight standard air bags ensure that all occupants are protected in the unfortunate event of a crash. Folding rear seats offer a wide range of hauling possibilities. 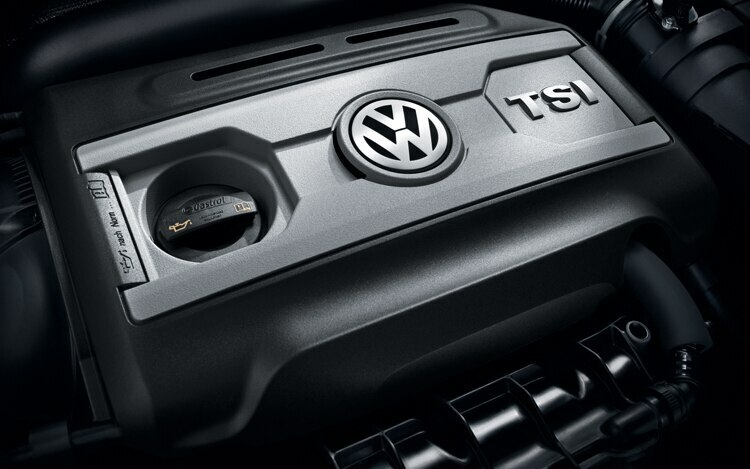 VW’s Carefree Maintenance program comes standard with all 2010 models and offers free scheduled maintenance for three years or 36,000 miles. For the money, the GTI is undoubtedly the front runner for budget-conscious families looking for some pep in their ride. 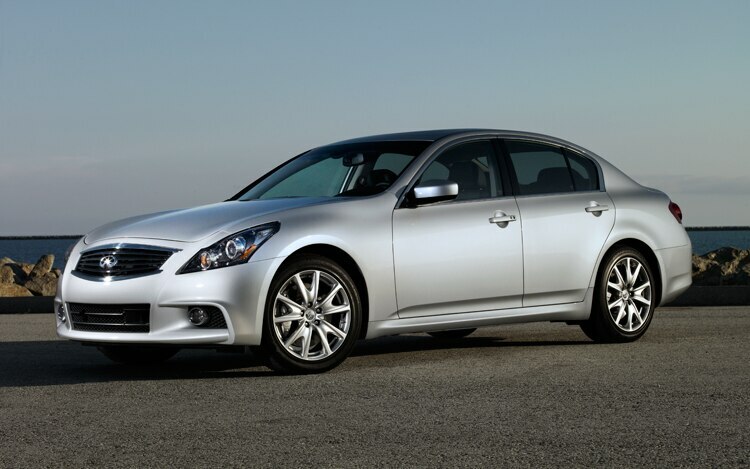 Although the Infiniti G37 is available in coupe and sedan models, again the obvious family choice is the four-door. Available in several trim levels, the Sport model is the best performer of the bunch. With pricing for the Sport sedan coming in at $37,865, it can easily be considered one of the least expensive luxury sport sedans available today. 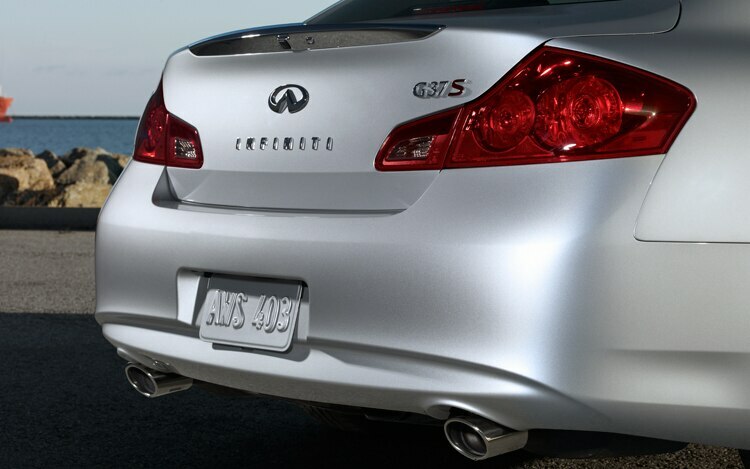 The G37’s 328 hp and 269 lb-ft of torque come from its 3.7-liter normally aspirated V-6 engine. A six-speed manual is the sole transmission option for the Sport sedan. Eighteen-inch five-spoke wheels come standard on the Sport model. Four-piston calipers grab fourteen-inch rotors in the front, whereas two-piston calipers slow 13.8-inch discs in the back. The rear wheels spin harmoniously with the help of a viscous limited-slip differential, and a sport-tuned suspension aids spirited driving maneuvers. Dual-zone automatic climate control helps keep all occupants comfortable, while leather seating throughout not only adds to the comfort level but also eases the task of cleaning crumbs. Family sing-alongs are sure to be fun with the standard ten-speaker Bose audio system. Audio can be piped to the Bose system either through the iPod connector or via the G37’s streaming Bluetooth capabilities. The two gigabytes of onboard storage can house a significant amount of music, too. 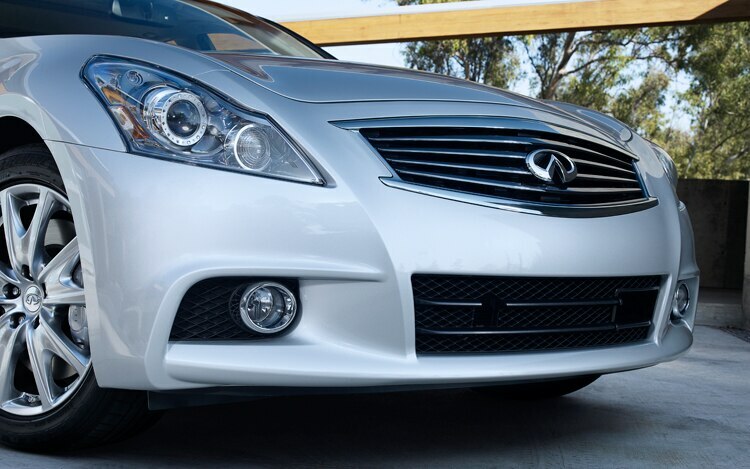 Infiniti’s Advanced Air Bag System adjusts inflation rates for the front air bags depending on crash severity. 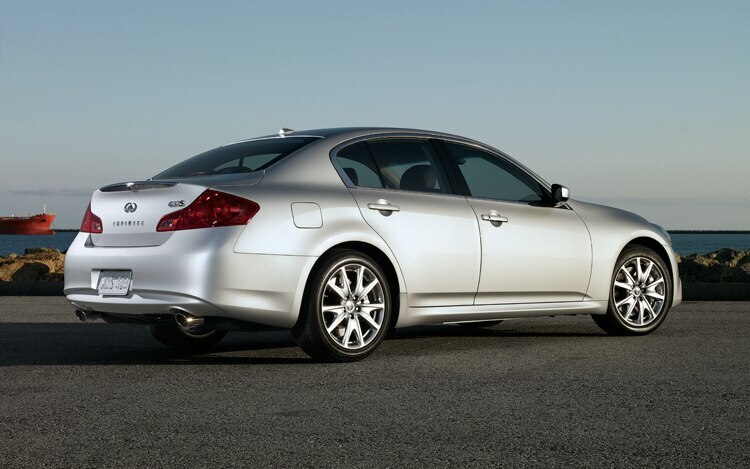 EPA fuel economy numbers indicate that the G37 Sport sedan should be able to attain 17 mpg city and 25 mpg highway. 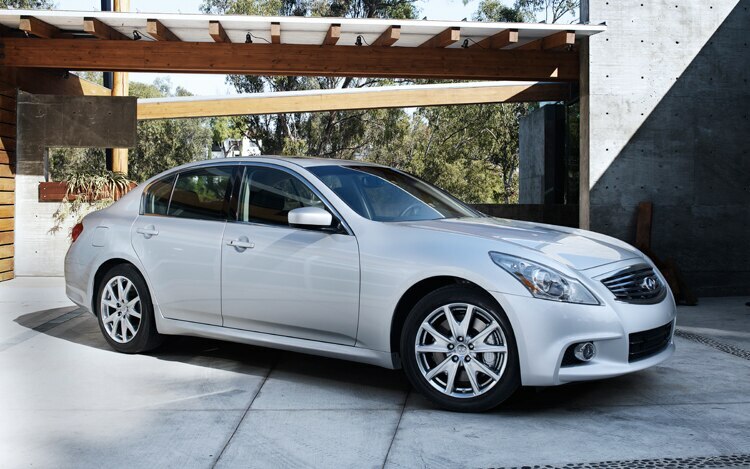 The G37 Sport sedan leads the $30,000 to $40,000 pack in luxury, sporty feel, and above all family friendliness. 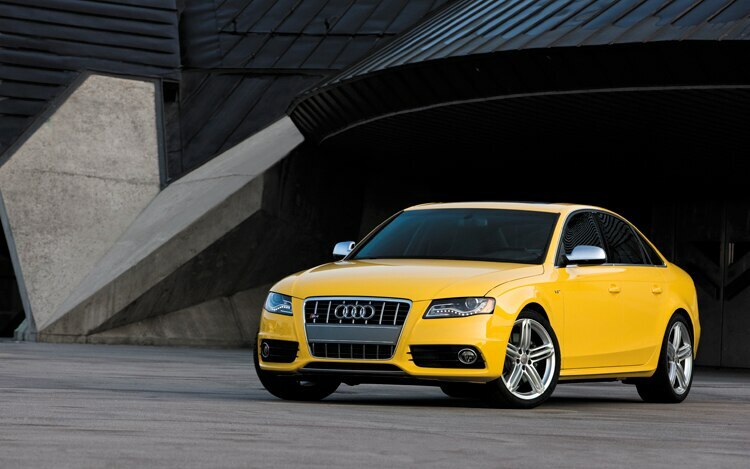 The Audi S4 is arguably the best German luxury sport sedan for the money. Although it’s based on the A4, the top-of-the-line S4 is a completely different animal. 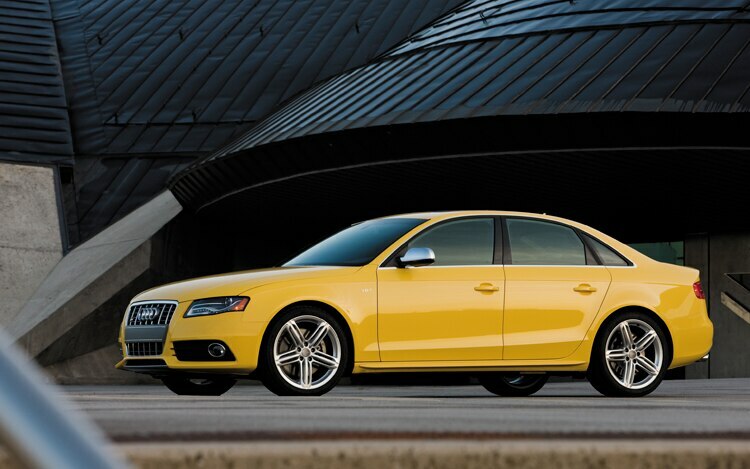 Starting at $46,725, the S4 comes standard with Audi’s Quattro all-wheel-drive system. Buyers can opt for the uplevel Premium model, which costs an extra $6100 and adds nineteen-inch wheels and a Bang & Olufsen fourteen-speaker sound system. 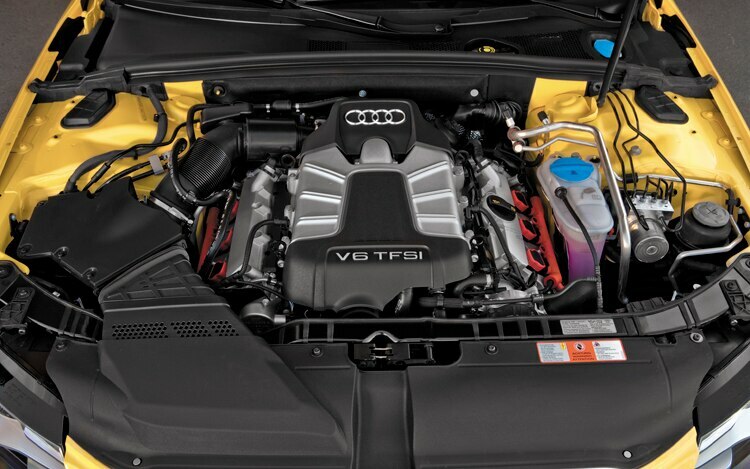 The S4’s rev-happy 3.0-liter supercharged V-6 produces 333 hp and 325 lb-ft and growls through two pair of I-mean-business exhaust pipes. Buyers can choose between a six-speed manual transmission or a seven-speed dual-clutch automatic gearbox. Again, we prefer the manual for its enhanced driver involvement and $1400 savings versus the dual-clutch unit. Eighteen-inch five-spoke wheels come wrapped in performance rubber, allowing the car to operate at its fullest capabilities (at least in nice weather). Sprinting from 0 to 60 mph will take a mere 4.9 seconds, according to Audi. An optional sport rear differential varies torque between the rear wheels, allowing the S4’s driver to confidently power through any corner. Heavy bolstering paired with Alcantara inserts keeps occupants planted firmly in their seats. Variable damper controls allow the driver to choose a comfort setting for fussy family members, an automatic mode allows the car to select optimal settings, and a sport mode enhances more spirited driving. Audio and climate settings are controlled through a 6.5-inch screen located front and center; the S4’s three-zone controls offer occupants extreme climate customization. Standard heated front seats are another added nicety. The base 180-watt stereo includes two speakers in each door and a rear-mounted subwoofer. Music can be transmitted to the stereo from an iPod hookup, an auxiliary input, or a handy SD card slot. 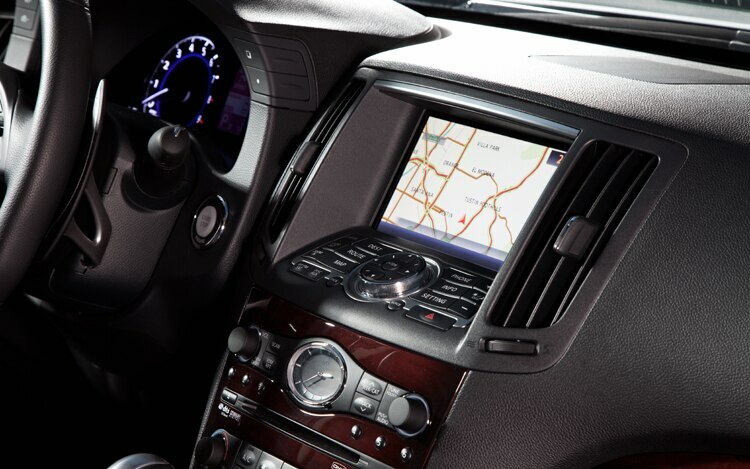 If the navigation system is ordered, the screen size grows to seven inches and can be controlled by voice inputs. The EPA reports an average fuel consumption of 21 mpg in the city and 27 mpg on the expressway. 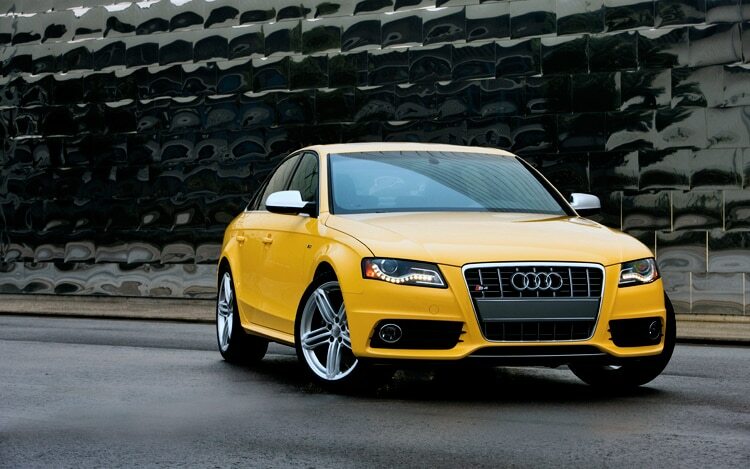 The Audi S4 is an extremely refined family hauler that’s a blast to drive and well worth its near-$50,000 price tag. The CTS-V sedan has been around since 2004, but Cadillac has only just begun offering its performance model in coupe and wagon forms. Although unavailable until later this year, the CTS-V Sport Wagon is poised to become the ultimate fast American family hauler. 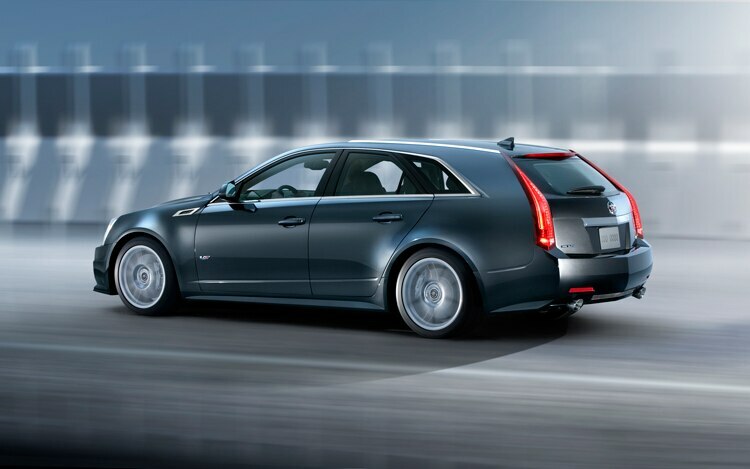 No official pricing is available yet, but we estimate that the wagon will come in at about $65,000, slightly higher than the CTS sedan’s $62,845 (including $825 destination fee) sticker price. 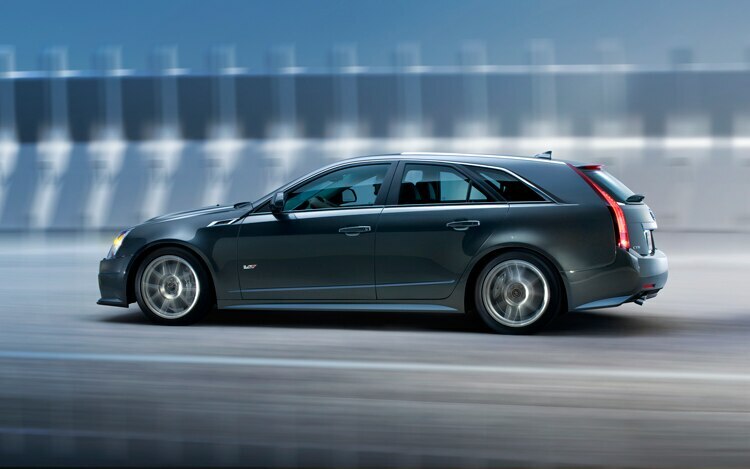 As with the sedan and coupe, the wagon will get Cadillac’s 6.2-liter supercharged V-8 powerplant that churns out a tire-shredding 556 hp and 551 lb-ft. Transmission choices are a six-speed manual or a six-speed automatic. 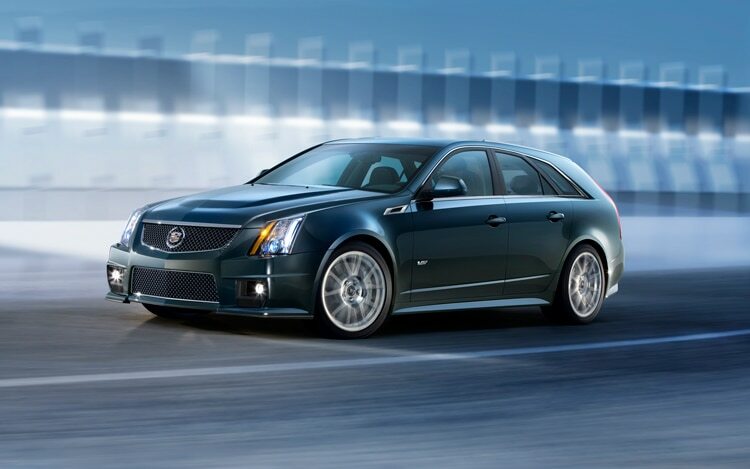 The CTS-V’s limited-slip differential helps both rear wheels turn together in any situation. Standard nineteen-inch forged-aluminum wheels come with performance tires. Brembo brakes are used at all corners, with six-piston calipers grabbing hold of fifteen-inch rotors up front and four-piston calipers gripping 14.7-inch rotors in the rear. Magnetic Ride Control dampers react to road conditions almost instantaneously, whereas user-selectable Touring and Sport modes allow just the right driving characteristics to be chosen. 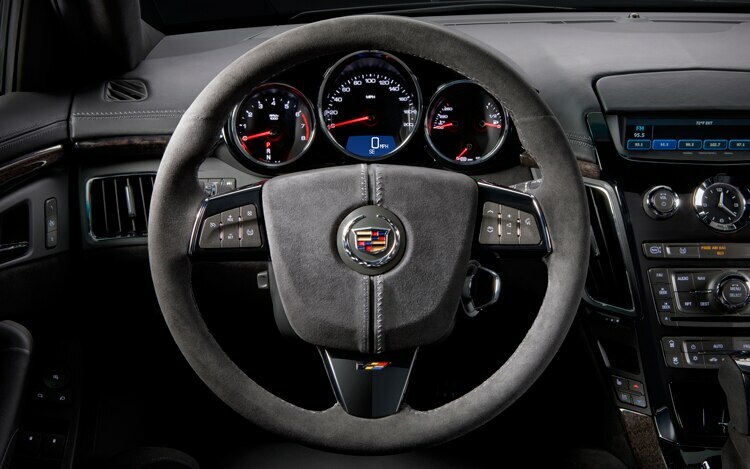 The CTS-V sedan can dash from 0 to 60 mph in just 4.1 seconds, but we expect the Sport Wagon’s time to suffer slightly due to the extra 200 pounds that it carries. Standard heated and ventilated bucket seats keep front occupants happy, while dual-zone climate control aids in comfort as well. A power rear liftgate allows ease of access to the wagon’s 25.4 cubic feet of cargo space, which can be expanded to 58 cubic feet when the rear seats are folded down. Side-curtain air bags are standard for both front and rear seating areas. A standard eight-inch navigation system is included, too, as is a ten-speaker Bose 5.1 surround-sound system. Music can be stored either on the 40-gigabyte hard drive or played via the USB connector. Rear passengers get a folding center armrest that will conveniently hold two cups. Cadillac says its V wagon will get the same EPA fuel economy rating as the sedan: 14 mpg city and 19 mpg highway. General Motors’ OnStar comes as a free service for the first year of ownership. If you’re interested in a go-fast luxury family hauler with plenty of cargo space, the CTS-V Sport Wagon is a strong candidate. Beware, though, that the souped-up Caddy wagon will be available only in limited supplies, so collectors might also be keen to snap up a copy or two for themselves. 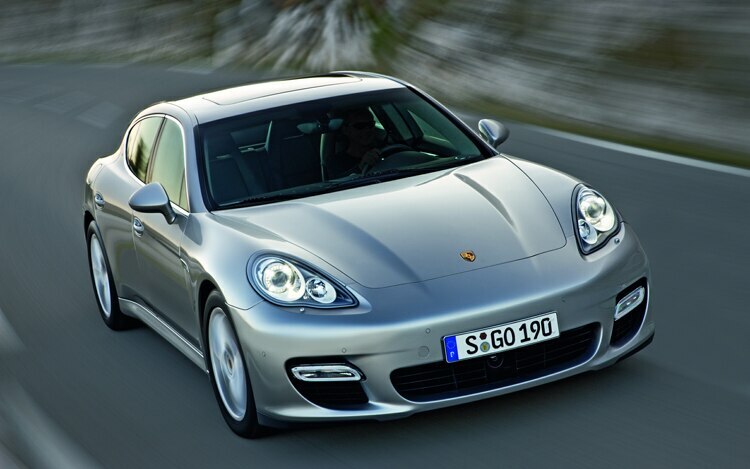 Referred to by Porsche as its first sports car for four, the Panamera is nothing short of a four-door race car. Available in several trim levels — base, 4, S, S4, and Turbo — a Panamera can be had for a starting price of $90,750 (including a $950 destination charge). Since the big Porsche is the last car on this list, though, we’re pulling out all the stops and opting for the Turbo model, which retails for a steep base price of $133,550. 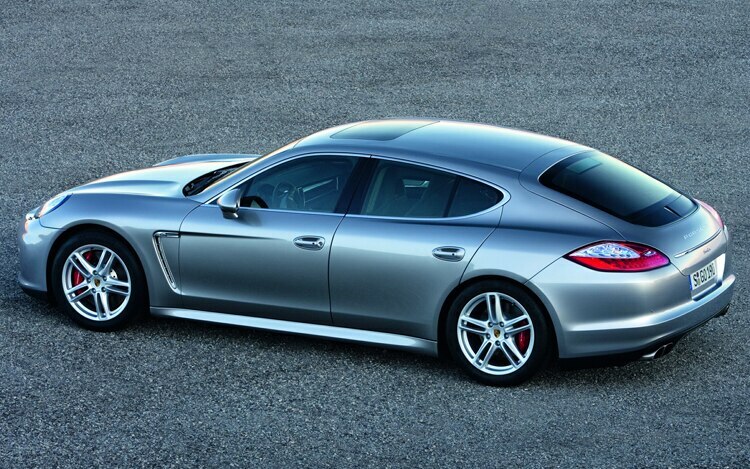 The Panamera Turbo is awakened by a powerful 4.8-liter twin-turbocharged V-8 that spins all four wheels. Power numbers are listed at 500 hp and 516 lb-ft. If you’re looking for even more power, add the $2280 Sport Chrono package for a 52 lb-ft bump in torque. Porsche says the Turbo will accelerate from 0 to 60 mph in just 4 seconds, but the Sport Chrono package will reportedly chop that number by an additional 0.2 second. Top speed for the Turbo is 188 mph. With all that power to get the Panamera going, equally impressive brakes are needed to reel it back in. Six-piston calipers hug 15.35-inch rotors in the front, and four-piston calipers squeeze the 13.78-inch rear discs. The Turbo’s air suspension offers three modes: High Level, primarily used for parking-lot maneuvering, adds 0.78 inch in ride height; Normal is for everyday driving; and Sport Plus lowers the suspension by 0.98 inch. Nineteen-inch wheels come standard on the Turbo, but twenty-inch wheels can be substituted. 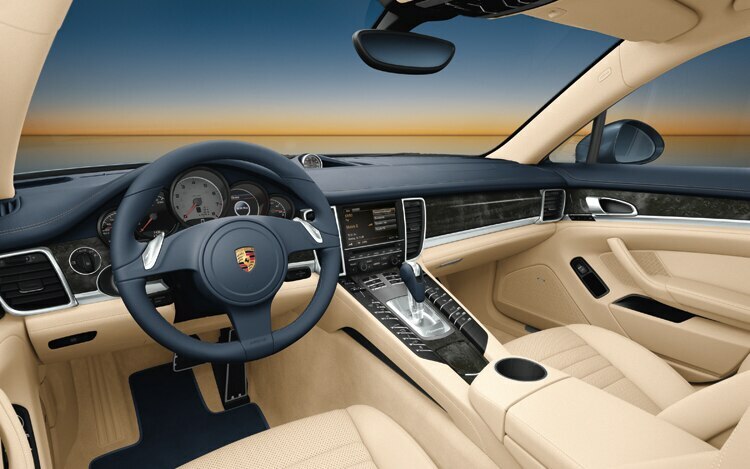 With bucket seats all around, the Panamera unfortunately has seating for only four occupants. Still, all travelers are treated to plenty of room, whereas optional four-zone climate control improves comfort levels even more. 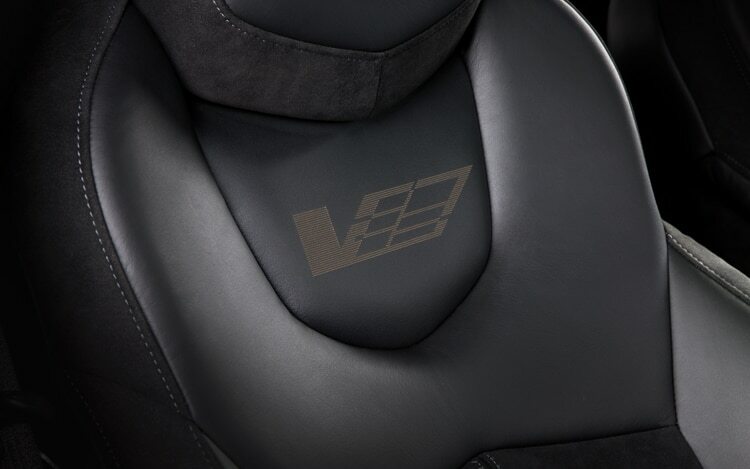 Eight air bags are standard equipment and include instrument-panel-mounted knee air bags. For an extra $2990, a pair of seven-inch, leather-wrapped rear-seat entertainment screens can be added. A fourteen-speaker, 585-watt Bose sound system comes standard in the Turbo. Compatible music devices can be neatly tucked away in the center console and controlled through the stereo’s head unit. The Panamera has room for four Porsche Design suitcases in its trunk, and, if additional space is needed, the rear seats can be folded flat. Fuel economy figures for the Turbo are 15 mpg city and 23 mph highway. 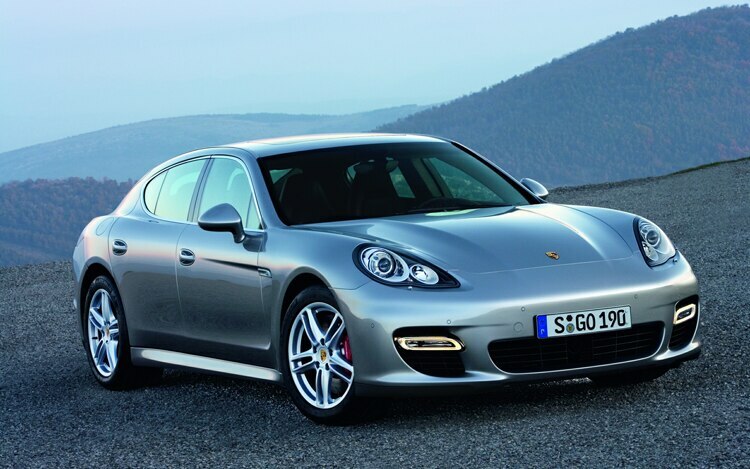 There are several other high-end luxury sedans in this segment, of course, such as the Maserati Quattroporte and AMG editions of the Mercedes-Benz S-Class, but the Panamera tops our list specifically because of its heritage, driving characteristics, and overall appeal. 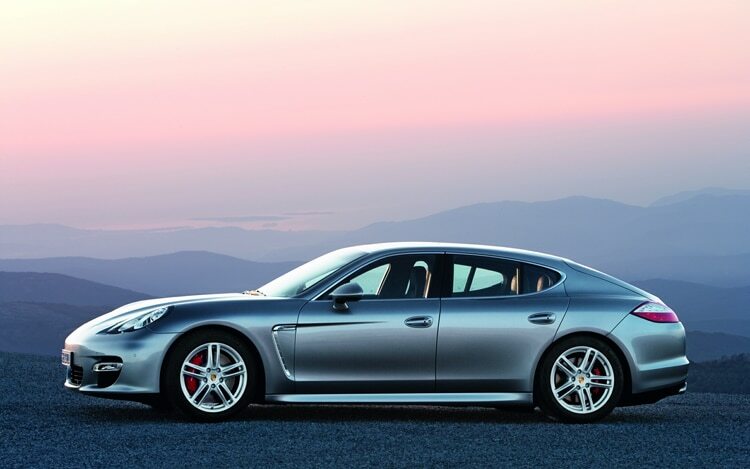 The Panamera may just be the ultimate choice in family friendly sports cars. After all, what kid wouldn’t want to be dropped off at soccer practice in a Porsche? 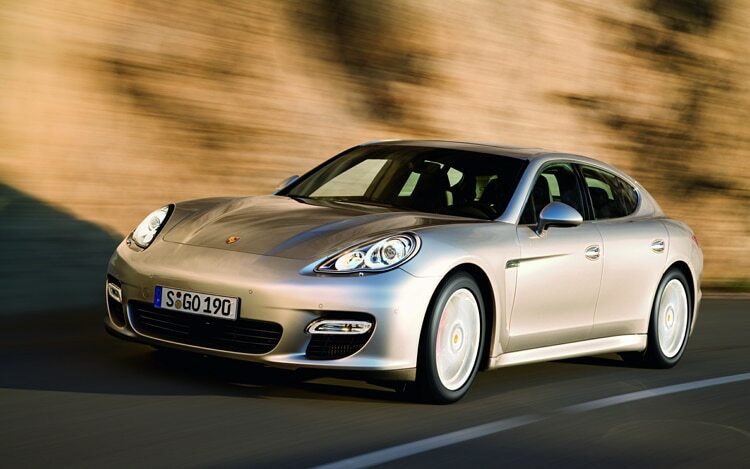 Porsche will use this year’s New York auto show to unveil the 2012 Panamera Turbo S, the most powerful factory version yet of the company’s luxury sedan.